The Anais single bed offers a stunning contemporary twist on a standard metal bed. 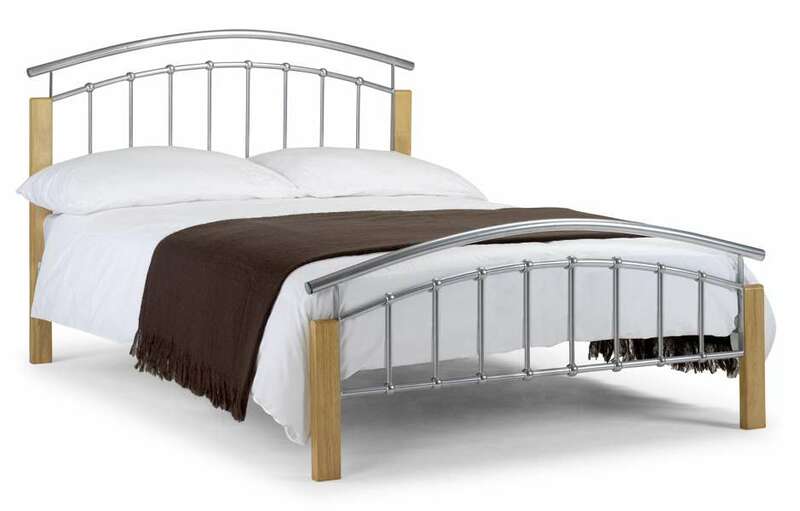 This gorgeous bed has been crafted in aluminium with oak finished hardwood legs. 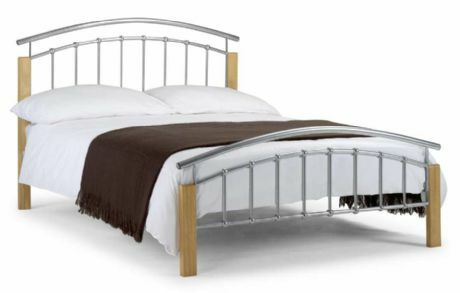 Manufactured with a sprung slatted base, this bed is sure to compliment the most trendy of bedrooms. 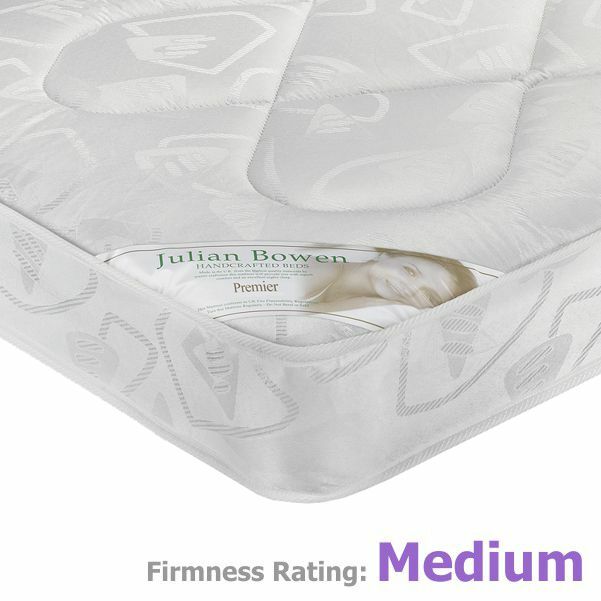 Also purchase the premier or the deluxe mattress with this single bed and save £24.99 on the Premier mattress & £34.99 on the Deluxe mattress! 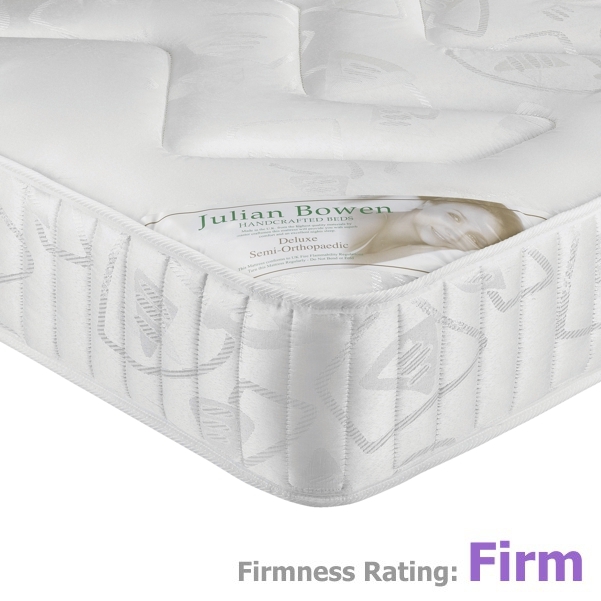 This bed is available as a single, a small double, a double or a king size.